As a person with Colombian roots, I consider food very important. There are a variety of delicious foods in this Hispanic culture— ranging from arepas to bandeja paisa. Nonetheless, my absolute favorite food would have to be empanadas. 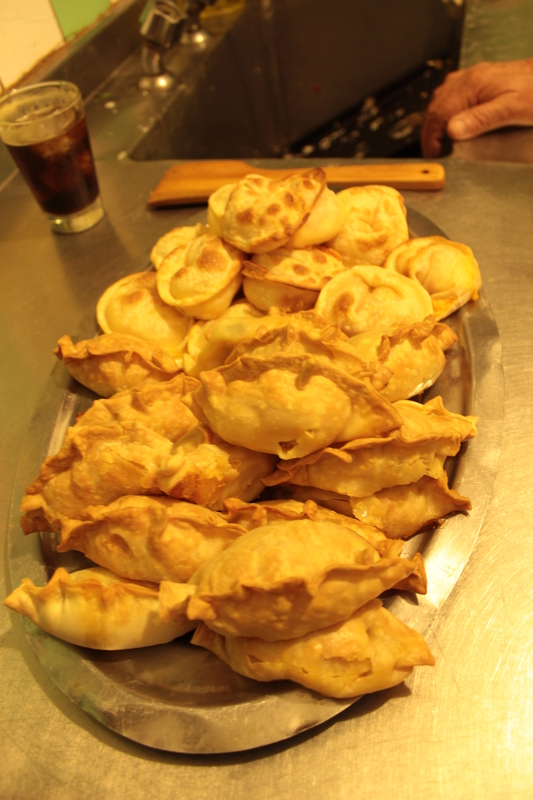 Empanadas are an extremely popular food often sold outside of churches or in the streets of Colombia. Fortunately, there are many restaurants in America that also sell this delicacy. I find empanadas especially delicious because they are sacred in my heritage, there are different types, and they have a unique taste that allows them to be paired with a variety of different foods. Growing up, my grandmother always made empanadas from scratch; she prepared them by using our famous family recipe that has been passed down from generations. Having two parents born and raised in Colombia makes it difficult to escape my roots. My parents come from the city of Barranquilla— which is immensely popular for its carnival known as Carnaval de Barranquilla. During the four days of intense celebration, people dress in costumes and play convivial music (according to ProColombia’s Dias de Carnaval). Just as in any party, food is essential and empanadas do make an appearance. Celebrating with family and friends is even better when there’s food around. The empanada, in general, is a very popular food that can be found in other countries such as Brazil, Venezuela, Argentina, Costa Rica, and much more. Empanadas are made in different ways: in the Caribbean part of Colombia, they are fried with a corn-base and can be filled with ground meat, shredded chicken, or cheese; in the amazon regions, however, sweet empanadas are made with a jam of tropical fruits to create a savory and tangy balance. There are unlimited ways of creating empanadas; people love putting in their own twist of ingredients. Different cultures have different types of empanadas— some even include “pineapple, mushrooms, boiled egg, olives, and raisins” (Nicole Presley in “24 mouthwatering flavors of Empanadas”). I haven’t been able to try out all the empanadas in existence as of today, but from those that I have tried, I can vouch that I have never eaten a foul tasting empanada. Empanadas are typically paired with aji, a spicy sauce that is consisted of cilantro, green onions, peppers, vinegar, salt, lemon juice, and avocado pieces (according to Halal Mama’s Colombian Empanadas and “Aji” recipe). The aji is generally used to spice up the empanada since some people may find the taste too neutral or bland without it. It is not made to be a very spicy sauce, but it’s made to have enough of a tangy taste to balance the neutrality of the meaty taste of the empanada. Empanadas are easily paired with a variety of different foods— not just strictly Colombian food. Empanadas can be paired with a salad, or perhaps a black bean soup along with yellow rice. Since empanadas are known to be a lot of work to make, you could include simpler side dishes such as sliced avocados or mangoes on the side. Empanadas are an important part of my Colombian roots; I have eaten them since the creation of my family recipe as it has been passed on from past generations. Although they are delicious, they are extremely time consuming, which leads my mom to rarely be in the mood to make them. Their delicious crunchy exteriors and warm soft fillings have a special place in my heart as they mean much more to me than just an appetizing snack as they represent a large part of my Colombian heritage. Natalie Lux is a 17 year old second year student at Miami-Dade College. She loves painting and drawing when she’s not spending time with her friends and family.